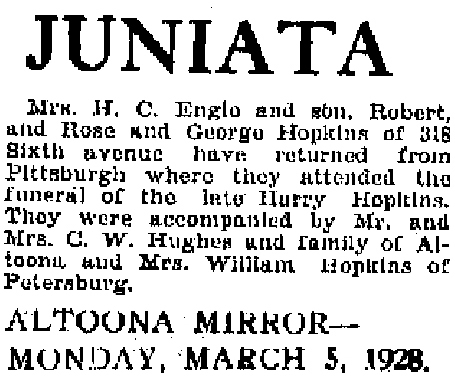 George Turner Hopkins was born in Allegheny County Pa (Mt Washington) on Feb 1st, 1884. 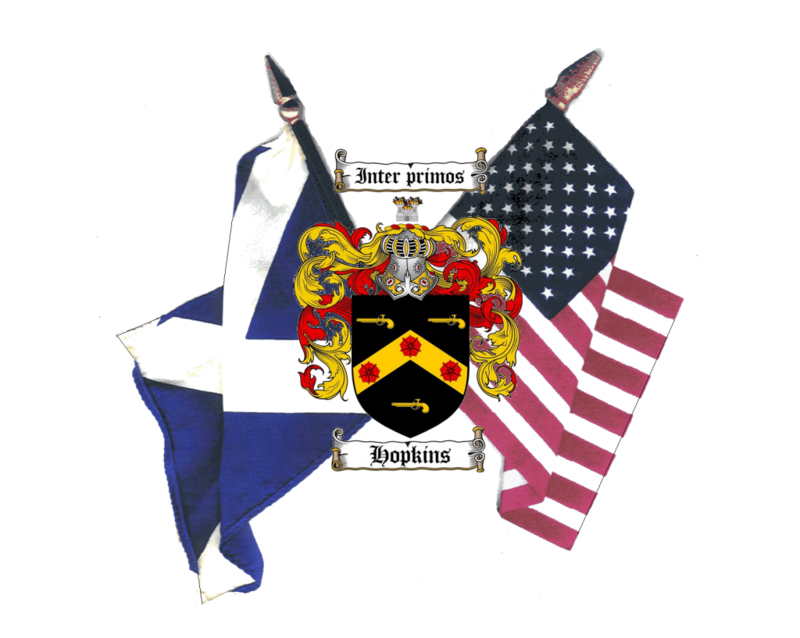 A son of William L. & Rose A Hopkins. George moved to Blair County Pa (Newry area) with his parents sometime before 1910. 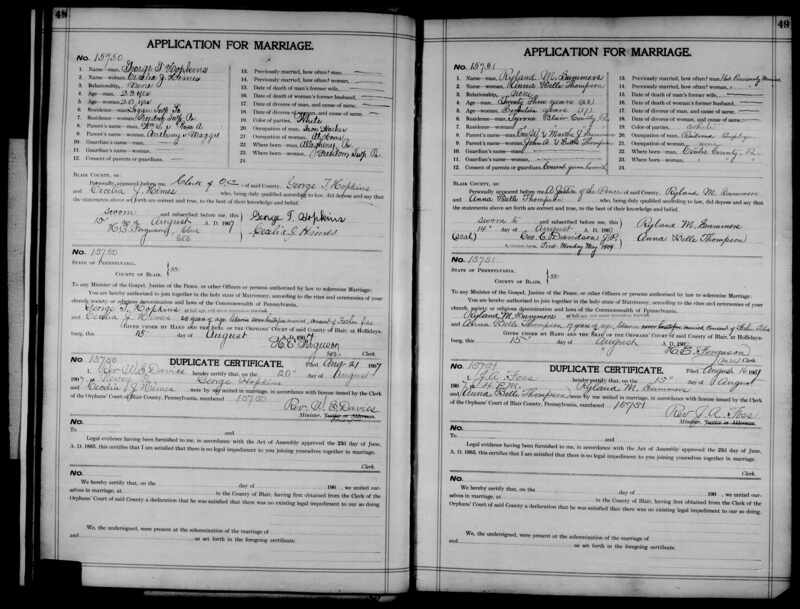 George eventually married Celia J Himes (from Puzzletown, PA) in 1907 (at the age of 23) at St. Patrick’s Church, of which he attended until his death where he is buried. George T. and Celia had a son, George W.(my grandfather) who stayed with his mother after he died in Altoona, PA. when she remarried to Harry C. Engle . George T. lived a short life of only 28 years when he died on October 8th 1912 from undocumented complications. His mother Celia died on Jan 26th 1955 of a heart attack. Celia is also buried at St. Patrick’s in Newry, PA.